If I could write an ode to the vanilla bean and not sound like a nut job, I would (I’ve done it before with pasta – but I know you have forgiven me for that given my heritage), but I can’t seem to put together an ode without looking like an idiot so I’ve decided against it. 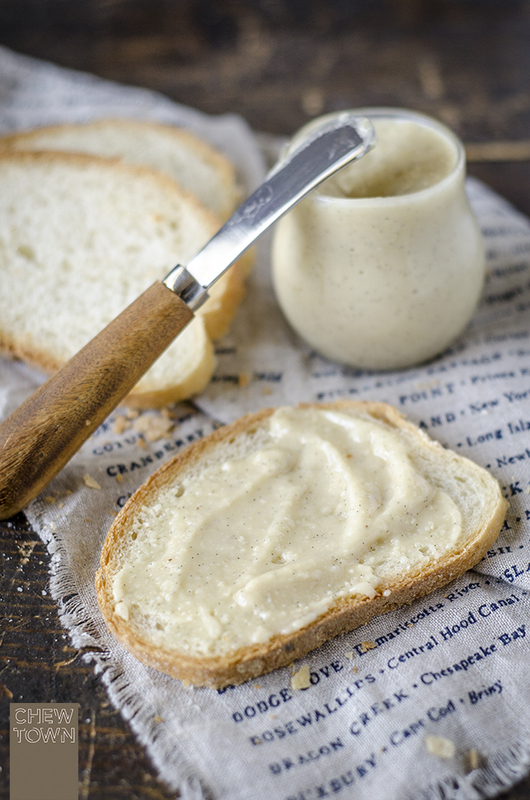 Now, for the avoidance of doubt, I didn’t make this macadamia and vanilla bean butter because I decided to get on the no dairy bandwagon… I did it because nut butters are seriously tasty and amazing in their own rights, and need to be in your life! Slightly salty, very creamy, vanilla personified, and nutty to the core – this batch lasted but a moment as I found excuses to incorporate it into every part of my diet. Slathered it on impossibly soft fresh bread? Of course. Baked it into chocolate treats? you betcha. Blended it into a smoothie? You know I did. So, after selfishly holding it close to my chest for a couple of weeks, I decided I had better share it so you can find many more things to use it for yourself (and hopefully let me know so that I can try it). The key to its success is definitely the macadamia – Why? Because macadamias on their own already have buttery characteristics. Coupled with a pinch of sea salt and a beans worth of vanilla seeds and you have a seriously addictive spread. Place nuts in a high performance food processor and process on high until the mixture becomes creamy (bI don't have a vitamix blender, so made mine in my strong Kenwood processor - it will take 4-5 minutes). Add honey, vanilla bean seeds and salt, and blend again until all ingredients are completely incorporated and the nut butter is smooth. The butter will keep in the refrigerator for up to a month. ‘Vanilla personified,’ I love that! I also love nut butters and it has nothing to do with dietary preferences. It’s all about the taste. This looks just so scrumptious! Love the addition of honey, perfect. 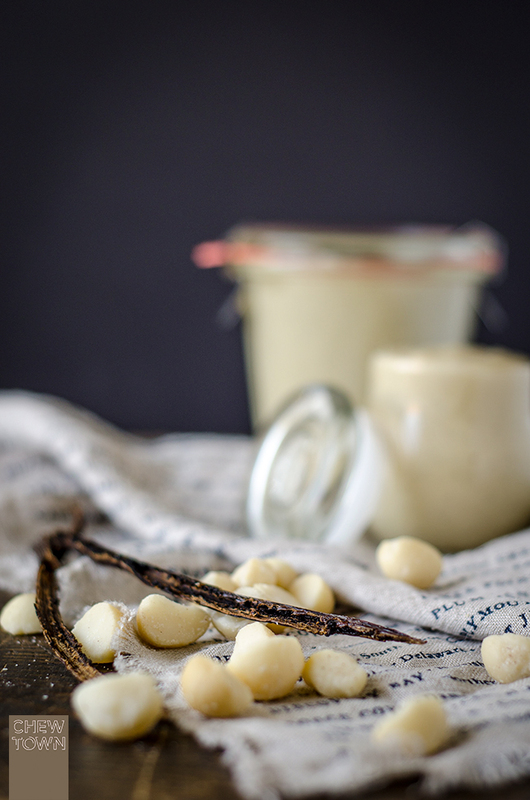 vanilla and macadamia is such a power combo, but never did i think of it as a “butter”! I’d be slathering this all over crusty bread for sure! Just hand me the spoon! Wow Amanda it certanly looks adictive and smooth and vanillary. I sue you could use it in a million ways. Thanks for sharing a beautiful recipe that would work so well slathering onto soft bread. It looks so creamy and soft, I might use it as a dip for crispy Lebanese bread sticks instead. I have recently caved and purchased a Thermomix with the view that I can go back to eating food made from scratch – something I have no longer had time for. Nut butters are one of the first things I have made….this one looks naughtier (and much yummier) than what I’ve made…..will be sure to make it your way next time! Hi Lizzy, no probs. Happy for you to link.